Nationwide offers a comprehensive second mortgage programs and equity loans to help you refinance, purchase or consolidate debt with low 2nd mortgage rates. You will find just about everything you need here for second mortgages with fixed or adjustable rates for financing or cash out refinancing. With the housing market rebounding, more second mortgage programs will be introduced to fulfill more borrower needs. With over 100 second mortgage programs, our team looks forward to helping you find a 2nd mortgage solution. We offer programs that reward home equity, as well as loan products that require no equity at all. Good credit...bad credit...We offer prime, subprime second mortgages and FHA loans that will help you refinance debt or finance home improvements. Nationwide offers a comprehensive guide for second mortgage loans for purchase, refinance or debt consolidation. You will find just about everything you need here for second mortgages with fixed or adjustable rates for financing or cash out refinancing. Nationwide Mortgage Loans is a home equity loan company offering cash out refinance, home equity loan credit, no equity loans, debt consolidation refinancing with fixed rates or interest only home equity lines of credit. We provide the best home equity loans nationally with a wide selection of second mortgages. Nationwide offers all types of home loans in 1st or 2nd position with refinance home equity options for fixed rate installment loans or revolving credit lines. Our home equity lenders remains as one of the last premiere home equity loan bankers who still offer 100 and 125% mortgage loans. We offer prime equity loan refinancing and lines for people with good credit and subprime home equity options for borrowers with bad credit. Nationwide is focused on remaining an industry leader for high LTV equity loans and home refinancing transactions. In a recent article, IHE Account Executive Dan Ambrose said, "No broker has a better understanding of home equity loans." Home equity loans are more difficult to qualify for these days because of the equity loan default rise. For fair or less than perfect credit, consider getting cash out with FHA refinance loans that require very little equity. Borrowers can get cash back in a home loan from 85% to 95% loan to value. Consider stated income loans that allow first time homebuyers to qualify for loans without having to document their income. Please Note: No income mortgage loans are very difficult to qualify for. You will need ample equity and high credit scores for loan eligibility. Remember, an equity loan that requires less documentation usually requires a lot more equity. If you would rather not refinance your 1st mortgage, but need cash out for consolidating debt or financing home improvements, then Nationwide is the lender to help you maximize your home's equity will minimizing the cost of refinancing. Cash out equity loan and home refinancing volumes have increased significantly this year, and the consumer demand is sure to drive expanded guidelines for larger loan amounts. Please review the loan program details for second mortgage products that are available with B.D. Nationwide. The mortgage guide below can assist you in selecting a loan that is best for your situation. Please be aware that 2nd mortgages are subordinate liens that would be taken out, in addition to your 1st mortgage. Second Mortgage Comparison - Consider loans side by side. Fixed or Variable interest rates for loans up to $500,000. Second Mortgage Interest is Tax Deductible! Credit Qualifications - Get more info on what fico scores are required for specific 2nd mortgage programs. Learn more about how much underwriters will approve you for with your payment history reported by Trans Union, Experian and Equifax. This 2nd mortgage program is tax deductible installment loans that calculate the interest using simple interest amortization. This type of interest is much better for consumers than compounding interest that increases debt much faster. These are fixed rate mortgages that go up to 125% combined loan to value. First Time Home-buyers OK Credit Rating: Excellent. Key qualifiers: property value, high credit scores 680+ and no stated income allowed. Consider these second mortgages up to 100% combined loan to value. First Time Home-buyers OK Credit Rating: Fair Good or Excellent. Key qualifiers: property value, credit score, and stated income OK. Fixed rate second mortgages up to 100% combined loan to value. First Time Home-buyers OK Credit Rating: Fair Good or Excellent. Key qualifiers: property value, credit score, and stated income OK. Many people hit some bumps on the road to financing. We offer non-conforming and sub-prime 2nd mortgages to help people with poor fico scores rebuild their credit and save money by consolidating their adjustable interest debts. Often times second mortgage costs are more than 1st mortgage costs because the risk factor is greater for loans in second position. 2nd mortgages have higher default ratios than mortgages in first position, so it is common for lenders like to charge more fees up front. Nationwide offers no point loans and no "out of pocket" fee second mortgages. Most borrowers prefer to roll the fees into the loan. Colorado Second Mortgage – Consumers from Denver to Boulder are benefitting from debt consolidation with simple interest 2nd mortgages. Maryland Second Mortgage - Homeowners from Baltimore to D.C. are taking out subordinate liens for house improvements and credit card consolidation. California Second Mortgage – Homeowners from regions like San Diego to San Francisco are wrapping their adjustable rate debts into a tax deductible home equity loan. Florida Second Mortgage – Residents from Miami to Orlando are refinancing their variable rate HELOCs into a fixed rate equity loans. Georgia Second Mortgage – Consumers from Atlanta to Savannah are offered a free appraisal with every 2nd loan that goes in process with Nationwide. Virginia Second Mortgage – Homeowners from Richmond, to Virginia Beach are offered a Free Automated Appraisal with 2nd mortgages that goes into process. Interest rates and services offered may not be available to residents in certain states. State restrictions may apply. For updated licensing info please mail request to Nationwide Mortgage Loan Company. For Adjustable rate mortgage loans APR calculations are based from the index and lender based margins. All loan programs are subject to lending & underwriting approval. Unfortunately, not all loan applicants will be approved. Many financial experts consider both second mortgage loans to be valuable tools for homeowners to access quick cash and consolidate their high rate consumer debts. Our second mortgage experts will help you find the best loan that uncovers the most savings. Statistical Appraisal - comparable sales generated by computer (quick and easy) Accepted with most Nationwide Mortgage Loans programs. Full URAR Appraisal - Standard residential appraisal for purchase mortgages, refinance, and bad credit second mortgages. Second Mortgage lines are revolving lines of credit like credit cards, yet they are secured by your home collateral. Second Mortgage lines are recorded on title as a second mortgage lien. With home equity lines of credit you only pay interest on the amount of cash used. Credit lines can be used over and over. Most banks offer home equity lines of credit to 80 or 90% combine loan to value. Nationwide Mortgage Loans offers equity lines to 100% and even 125% in some cases. Lines of credit have interest only payments for the first 10 years of the loan. After the draw period, the remaining principal balance owed converts into a fixed rate loan amortized for 10, 15, or 20 years. First Time Home-buyers OK Credit Rating: Fair Good or Excellent. Key qualifiers: property value, credit score, and stated income OK. When taking out an equity mortgage, you should always consider whether or not you should have a pre-payment penalty. In most cases you get a small interest rate reduction with a 2 or 3 year pre-payment penalty but it is better to pay a higher rate if you plan to pay off or refinance the loan prior to the pre-payment penalty expiration. Now you can finance a second home or an 80-20 home purchase can be easier these days with various 2nd mortgage financing options to meet the needs of nearly every type of borrower. For more info on purchase loan options talk to your loan officer about program eligibility. Interest rates and services offered may not be available to residents in certain states. State restrictions may apply. For updated licensing info please mail request to Nationwide Mortgage Loan Company. For Adjustable rate mortgage loans APR calculations are based from the index and lender based margins. All 2nd mortgage programs are subject to lending & underwriting approval. Unfortunately, not all loan applicants will be approved. Be realistic when you are borrowing money against you home. Never assume income increases when budgeting for a second mortgage. Look at the hard dollar savings, like how much money you are saving each month. Consider tax deductions as the "icing on the cake." Speak with a loan officer! "Nationwide guided me through the 2nd mortgage loan process with grace and speed as I consolidated my debt and lowered my payments over $500 a month in the process. Thanks for getting to know me and not just my credit score!" Take advantage of the Nationwide Blog so you can learn about emerging home equity products and get rate alert notifications. Refinance or Second Mortgage? – Get advice that helps you determine which loan best suits your needs. Cash Out Refinance Vs. Home Equity Loans – Compare rates and loan parameters for each program before you make a commitment. 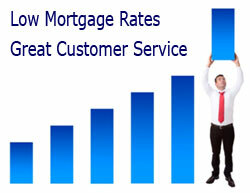 Nationwide guarantees the best second mortgage rates to qualified applicants in the U.S. Please be aware that this is not an advertisement for credit as defined by paragraph 226.24 of regulation Z. Nothing on this site contains an offer to make a specific home loan for any purpose with any specific terms. This is a web-site and no loans can be guaranteed as loans and rates are subject to change. Nationwide is affiliated with national lenders and a federally chartered bank located in Maryland licensed to offer home loans in all 50 states. Copyright © 2001-2012 and Beyond, Nationwide Mortgage Loans - BDnationwidemortgage.com is a website and cannot make loans. All rights reserved. Second mortgage rates are subject to change. Talk to a loan officer about loan eligibility and current rates.